PROSPECT — After serving for more than three years on the Region 16 Board of Education, the chairwoman is resigning to move with her family overseas. 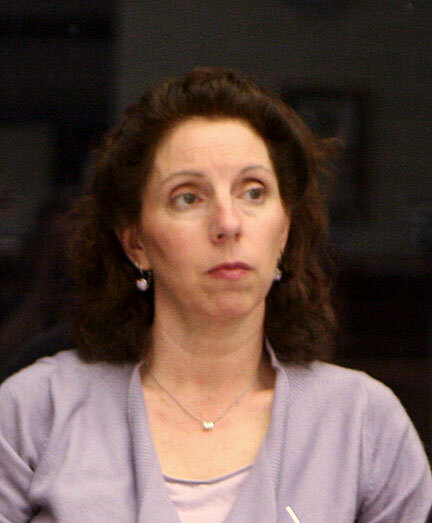 Lisa M. DeGoes, 43, a Republican, said Friday that she will resign effective July 1. DeGoes said she has notified Mayor Robert J. Chatfield and Region 16 Superintendent James C. Agostine. Region 16 serves Beacon Falls and Prospect. Her husband, Jason, has made a two-year commitment for a position in the Netherlands, she said. DeGoes, of Apple Hill Drive, was re-elected to the seat in November 2009. Before that, she was appointed by the Town Council to serve on the board in February 2008 to replace Gregory Zupkus, who resigned in January 2008. She said it has been rewarding to work with Agostine and to help move the schools forward with the curriculum. Her involvement with trying to implement programs for parents and youth also has been rewarding, DeGoes said. Most recently there was a community conversation at Woodland Regional High School on bullying in the 21st century, which drew a good turnout, she said. She has more activities planned for next month. “I think it’s important for all the parents, community and stakeholders to have a good understanding what our kids are being faced with these days,” DeGoes said. She said she will remain committed to fulfilling her duties on the board. She, her husband and three children, Jacob, 13, Sarah, 11, and Sam, 8, will be moving to South Amsterdam. In a month, she and her husband will go look for housing, she said. DeGoes said she is very much invested in this community, but this is a once in a lifetime opportunity for her and her family. Republican Town Committee Chairman Thomas Galvin, who is chairman of the Town Council, said DeGoes also notified the town committee of her resignation. DeGoes was elected to a four-year post to run through November 2013, he said. The Republican Town Committee now will recommend someone to fill in her post from July 1 to November, Galvin said. That post then would be up for election this year for a term to expire in 2013, he said.